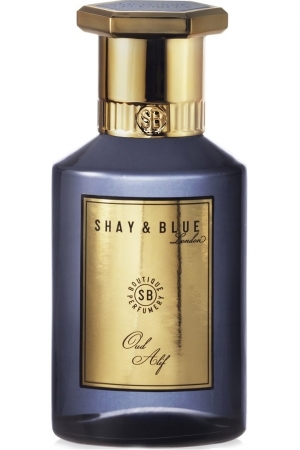 Today, we’ll look at two more fragrances from Shay & Blue London: Oud Alif and Amber Rose. The first is a spicy, woody scent accompanied by smoky leather, dark chocolate, saffron, and patchouli. The second, Amber Rose, is a fruity-floral which includes a “dulce de leche” accord of sweetened milk and “white amber.” I’m afraid neither one is my cup of tea, and I found them both to be extremely difficult fragrances to test, albeit for different reasons. Oud Alif – creamy, soft, rounded woods, inspired by the great gourmand oud fragrances of the Middle East. The best oud agarwood from the rare aquilaria tree, spiked with the richness of chocolat noir and notes of elegant leather, saffron and dark patchouli. Top Note – Fine Oud Agarwood On the Nose, the Rich Intensity and Fullness of Arabian Woods. Hypnotic. The Alpha Oud. Heart Note – Darkly Smooth Chocolat Noir in the Heart, and Soft Saffron Tempering and Balancing the Woods. Base Note – Deep in the Dry Down, Napa Leather and Dark Patchouli Anchor This Sophisticated, Elegant Blend.